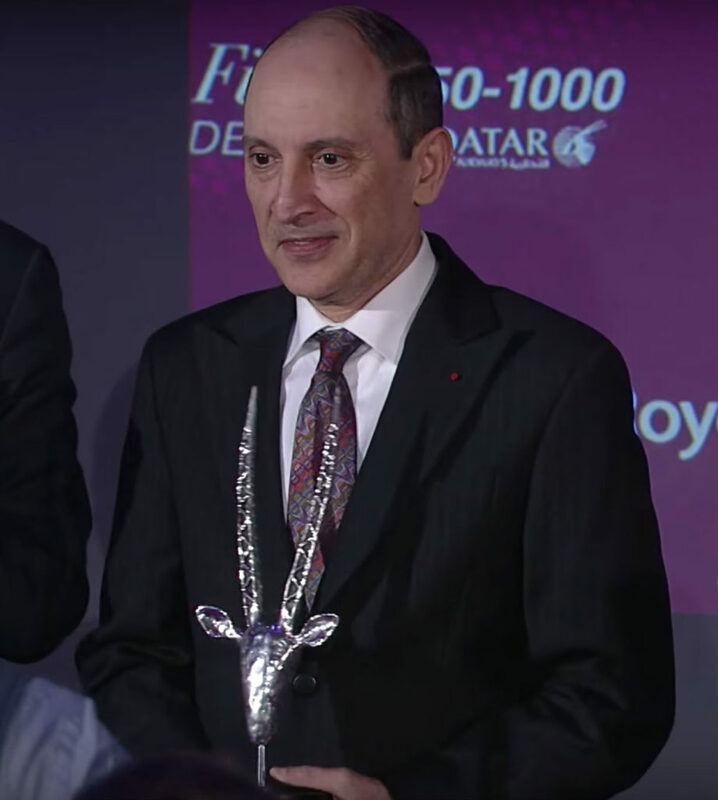 I was recently commissioned by Rolls-Royce to make a commemorative gift that was presented this week to their client Qatar Airways to celebrate the delivery of the first Airbus A350-1000 to enter service, powered by Rolls-Royce Trent XWB-97 engines. 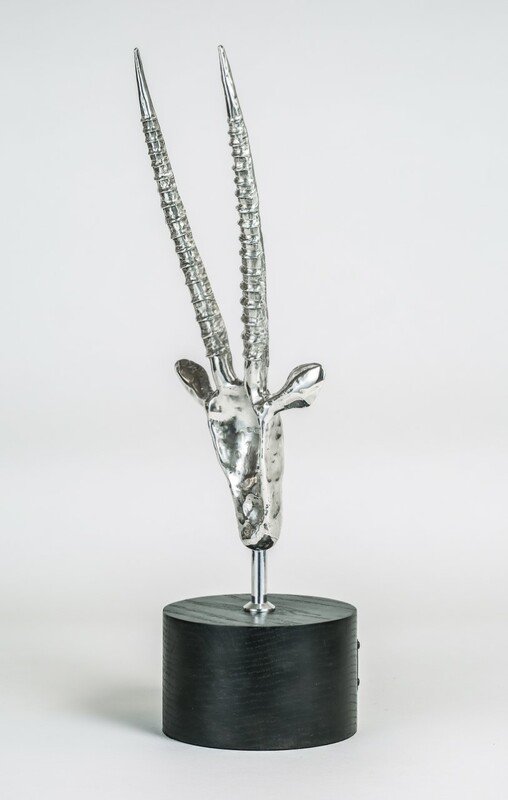 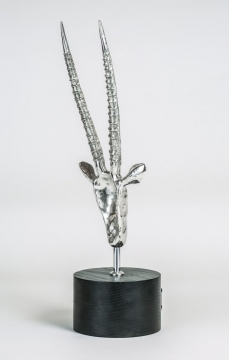 The sculpture is an Oryx head in Sterling Silver incorporating a cross-section of the inside of one of the engine blades on the front of the horns and the back as the horn would be. 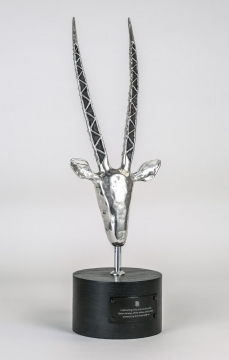 The Oryx is the national animal of Qatar and the Oryx head is used as the corporate logo of Qatar Airlines.